Shinyanga, also known as Shinyanga mji in the local Swahili language, is a city in northern Tanzania. The city is the location of the regional headquarters of Shinyanga Region as well as the district headquarters of Shinyanga Urban District. The region and district are named after the town. Shinyanga is located in Shinyanga District, in Shinyanga Region, in northern Tanzania. 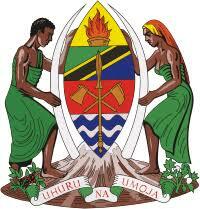 The city is located approximately 175 kilometres (109 mi), by road, southeast of Mwanza, the nearest large city. [ This location lies approximately 475 kilometres (295 mi), by road, northwest of Dodoma, the capital city of Tanzania. The coordinates of the city are: 3°39′43″S 33°25′23″E / 3.661945°S 33.423056°E / -3.661945; 33.423056.